All pictures and Article by Marcus Grandon. 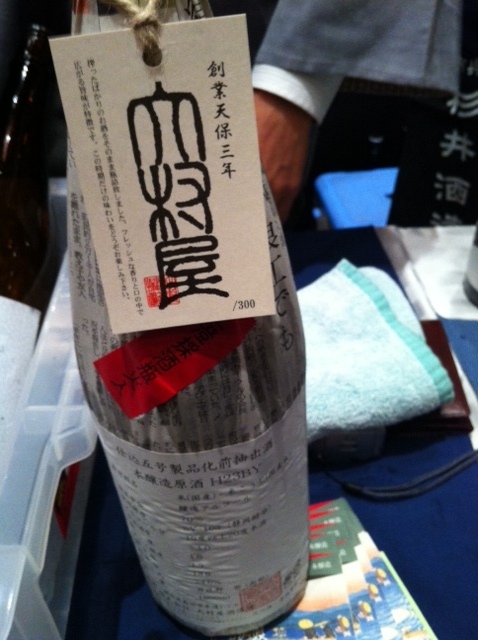 Shizuoka sake has always had a a special place in the hearts of sake fans both foreign and domestic. 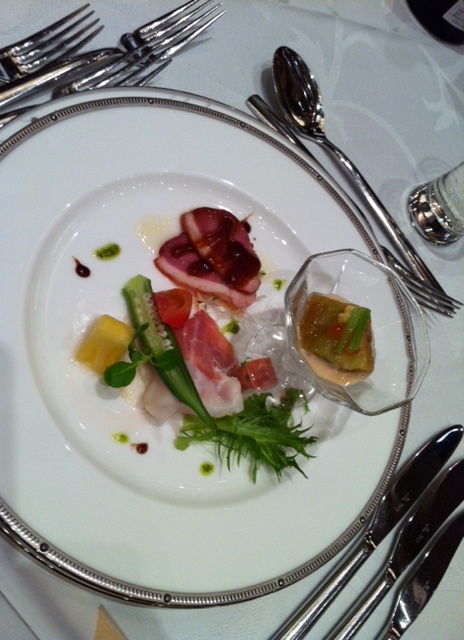 Every year, a group of Shizuoka producers hosts a dinner party to showcase their latest offerings. 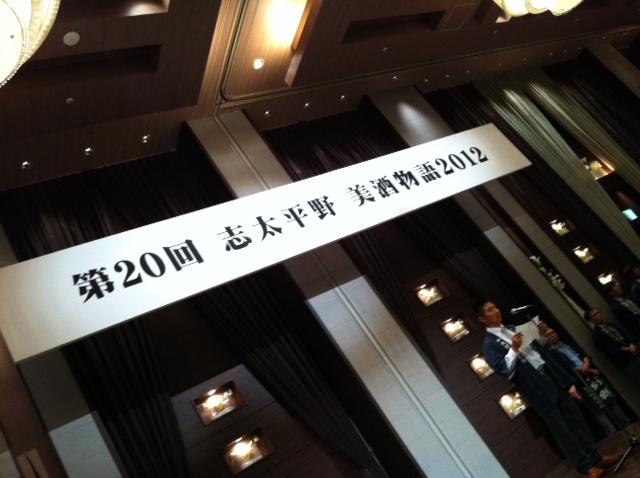 This year is no exception, and marked the 20th consecutive year for the gala event, which for the first time was held in the Aoi-tower in downtown Shizuoka City. 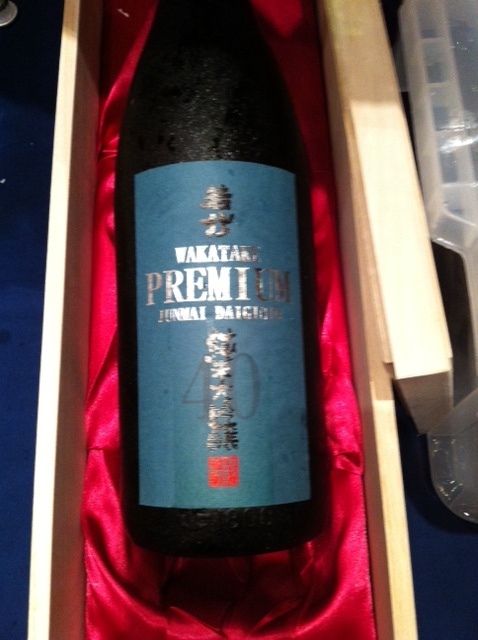 The party, attended by over 500 guests, contained a choice selection from a virtual who’s who of sake makers: Hatsukame, Shidaizumi, Isojiman, Kikuyoi (Aoshima Brewery), and Oumuraya (Wakatake) Breweries. While each and every sip from the various makers pretty much melted into the palate like liquid gold one after another after another, a very big piece of news emerged from the event this year. Shizuoka sake is known as the Champagne of Sakes for good reason. One of the key ingredients in making sake is water, and water in Shizuoka Prefecture is among the purest in the entire country. 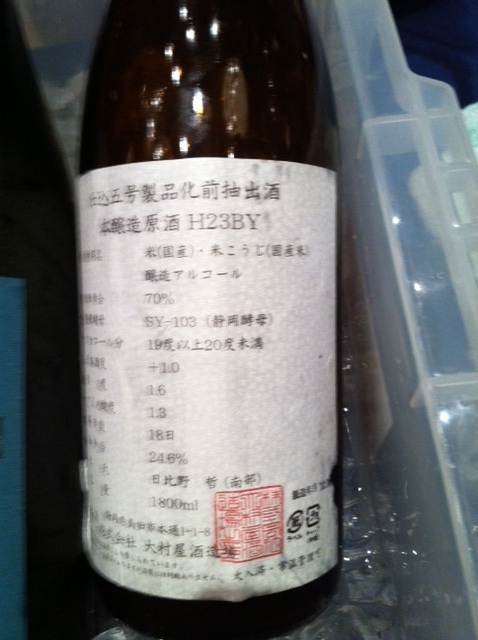 However, usually the rice used in the brewing process for Shizuoka sake comes from a different prefecture. The Oumuraya sake company wanted to use local rice to create a 100% local product, and in recent years began experimenting with using local rice in their sake. Conventional wisdom says that it takes ten years for sake makers to produce high quality sake with a new rice. Wouldn’t you know that this year is the tenth year for Oumuraya to be making such sake? And guess what? It’s the bomb! I was able to taste the sake in this bottle, and it was a smooth as any sake I’ve ever had! By the time I got here, this bottle was all gone. Not to worry though, it can be had at local department stores for ¥10.500 per big bottle. Not cheap for sake, but certainly worth the price for a 100% local product. My suggestion? Get it while you can!